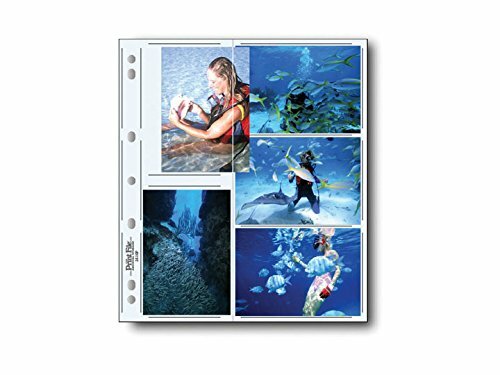 Print File archival photo holders provide an ideal acid free storage solution. Holds ten 3-1/2x5 prints. Dimensions: 9-7/8"W x 11-5/16"H. Available in packs of 25, 100 or 500. Wider than standard size pages, for storage use oversized binders. Can hang in file cabinet using plastic or metal hanger bars. High clarity 8 mil polypropylene. Archival quality, acid free, photo safe. If you have any questions about this product by Print File Archival Preservers, contact us by completing and submitting the form below. If you are looking for a specif part number, please include it with your message.